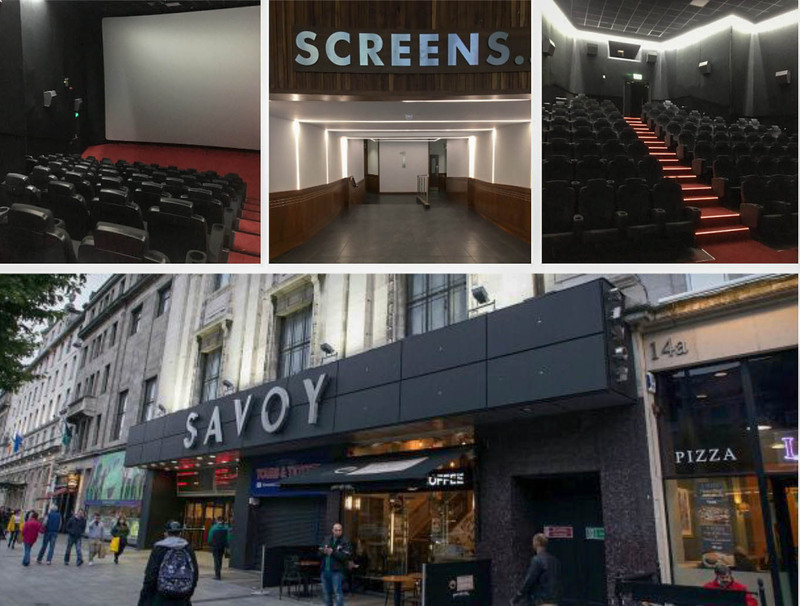 CTS Group are pleased to announce the completion of electrical installations on the second and final phase of upgrade works in the iconic Savoy Cinema of O’Connell Street, Dublin. First opened in 1929, the Savoy Cinema is the oldest operational cinema in Dublin, as well as having hosted the Irish première of many movies in the past. The project which saw screen 1 being split into separate auditoriums was completed both on time and under budget. Installations in the fit out included distribution boards, data wiring, power to projectors and sound racks, general lighting and a specialist dimmable LED lighting. Wiring of mechanical and heating systems was also provided. Safety precautions were satisfied with newly installed emergency lighting as well as a fire alarm system. A vital part of this project was the new popcorn and Coca Cola store, a necessity for any trip to the movies.